Now before anyone says anything, yes, I was (and still am) against the idea of turning Link into a gender selectable avatar in any and all future Zelda games; that just doesn’t sit right with me. But a game set in the Zelda universe starring one of the many awesome female characters? Yes please. The list of compelling protagonists to base a game off of is a long one. I’d love to learn more about Midna’s time before and after the Twilight usurper incident with Zant. A game that maybe saw Marin wake up in her own dream world that needed exploring would be awesome. The idea of just controlling (the preferably Skyward Sword version of) Impa pretty much writes itself. But all that being said, for our first Zelda game playing as a strong female character… yeah, I wanna play as the Princess herself, Zelda. Now, with each new Zelda game, there’s usually a hook to differentiate it from its predecessors. Turn into a wolf, switch between adult and kid, sail around, motion controls, etc. 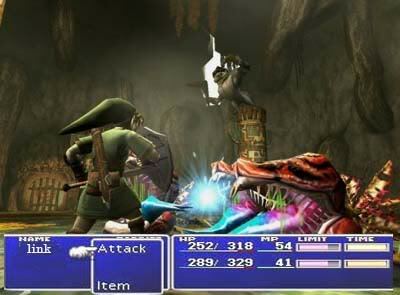 Beyond that though, the core mechanic of Link swinging his sword and completing dungeons has been pretty consistent. 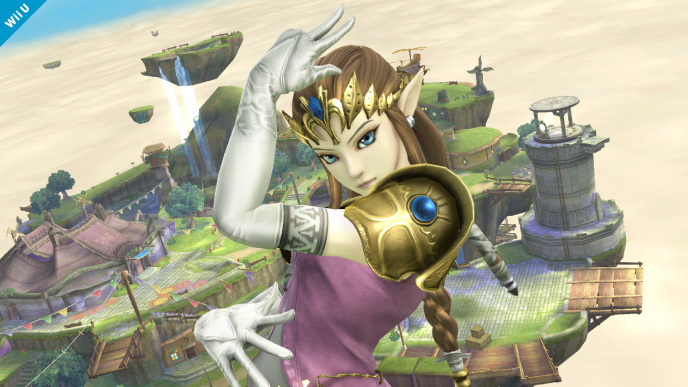 So now we have to ask ourselves, what would a Zelda game starring Zelda herself look like? Other than her holding a sword in Twilight Princess, we have no evidence that Zelda can use a sword. That would be am easy enough fix, but thinking about it, would we want her to? Would we want a Zelda-centric game to just be a pallet swap where it’s her instead of Link swinging a sword? I wouldn’t, anyways. 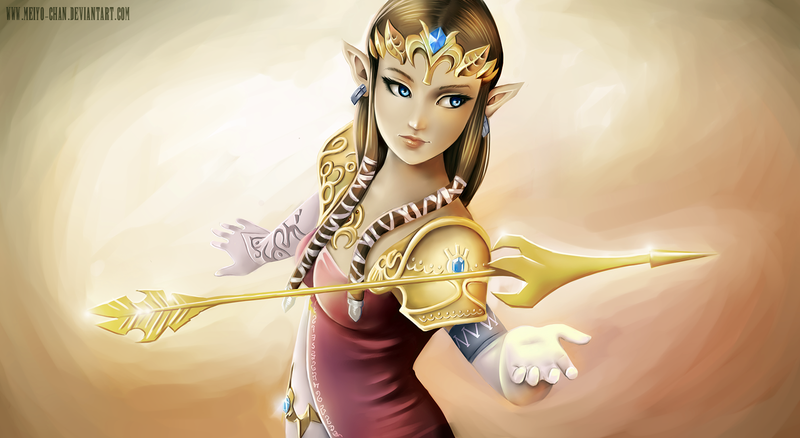 Zelda has been shown to primarily use a bow and magic, which I would hope is played up in the game. Changing gears for a second here, another hope of mine for a Zelda led game would be to have more fleshed out characters, including Zelda herself. We’ve seen her talk before, so there shouldn’t be any need for her to be a silent protagonist like Link. While the last few Zelda titles have been decidedly story heavy, a game starring the Princess of the Royal Family should be downright story rich. My point is this: The best way to get an awesome, unique, standalone Legend of Zelda game starring Zelda would be to make the game an RPG. Think about it. You want a story heavy game that maybe gives you insight into the past of the Hyrule Royal Family? Make it an RPG, a genre that was defined by its sweeping, epic stories. You have a character that only has one set weapon but knows plenty of magic spells? Make it an RPG, where upgrading a single weapon and crafting magic spells have been common place for decades. You want to have a game that differentiates itself from the rest of the Zelda series while also delivering on a much requested premise by the Zelda community? Make that thing an RPG! Well yes, but where there’s a problem, there’s also opportunity. 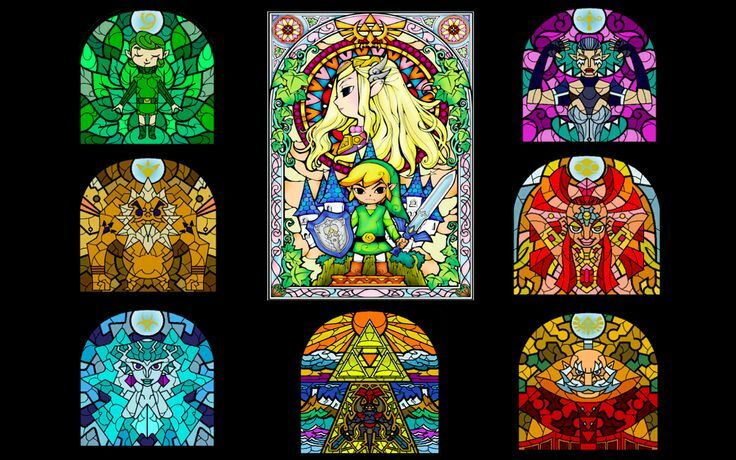 In fact, the Zelda series offers us a solution on a silver platter: The Seven Sages. Who are these guys? They’ve been referenced in half a dozen Zelda games or so, but in almost every game (aside from maybe Ocarina of Time) these Sages simply straddle the line between McGuffin’s, people that need to be saved in order to move the plot along, and Dues Ex Machina’s, showing themselves at the end of the game as a solution to seal away evil until the next game. But where do these guys get their power? What makes a Sage? Why are these guys so important? The plot devices you could get from that are rich and would make for an unforgettable story. Some might argue that having an RPG with seven or eight playable characters might take away from the significance of Zelda being the main event in a Zelda game for the first time, but I disagree. Take classic RPG’s like Final Fantasy VII or Chrono Trigger. There may have been several playable characters in both parties, but there was never any doubt who the main character was. It helps too that Zelda is often depicted as the leader of the Sages, so even in-game it would make sense for her to be the focal point. I think that the possibilities for a Zelda RPG are limitless. Nintendo has shown in more recent years it’s willing to be a little more liberal with the Zelda series, and after the success of Hyrule Warriors, why not give it a try? I know that I would be foaming at the mouth to play it, and I bet I’m not alone.